The younger generation might not be aware of the REX theater on College road, which is currently Rex stores and Rex cafe. But this was a one of the oldest theaters in Belagavi and landmark in itself. It was quite a popular theatre especially with college goers, since it was logistically well located. Now sources have confirmed that the said property will be developed into a Mall with a multiplex. The property belongs to Mr.Nanji and now sources have confirmed that this building will make way for a new mall which will also house a multiplex retaining its name as Rex most probably. 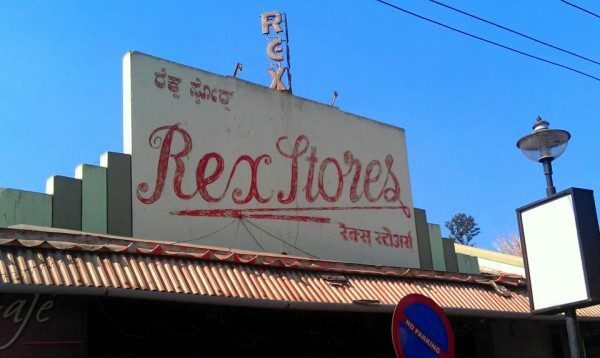 If built this could be the second mall in Belagavi and the location of Rex is very good on college road. Kapeel thearter made way for the current Nucleus mall and now Rex is on its way to become a mall. Azad Theater on Shukurwar peth is now Swaroop Plaza, the age old Huns talkies on Huns talkies road has been demolished. Nartaki is now housing a residential complex Nartaki Pride. Sir plz upload a list of all movies realised in REX THEATRE… Memorable moments. It’s should be a beautiful mall in Belagavi city. No doubt…!!! This building was an Art Deco sample. We lost a heritage monument due to lack of vision. The building could have been adaptively edited. The property is a leased property and is under litigation. This is possible only after court orders as a suit is pending in court. The people of Belgaum are not fond of mall culture. This may be seen with Nucleus “Mall” which once had full of shops but now only one store reliance trends. One more place is fading from memory. We frequented this talkies as newly wed couple. Any how we have to adapt to new changes.